LED lighting is brighter and lasts longer? Myths: "LED lighting is brighter and longer-lasting than all other lights." Fact: Good LED lighting can be excellent, but there are more poor LED products than good ones being sold. Also, LEDs are not the only energy-saving lighting technology. Often another lighting method is better for a purpose or more cost-effective. LED lighting can be excellent where you want the light to travel in one direction (like a spotlight or floodlight). 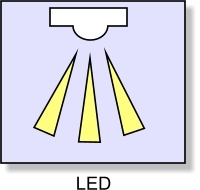 LEDs are poor for creating diffused 360-degree light because white diffusers are needed. These reduce light transmission. The LED market contains a confusing choice of quality, colour, beam angle, lifespan and brightness. Buying LEDs is a minefield. These days all lighting shops and websites sell LED lighting. But it takes an experienced buyer to specify or design products made using well-tested, bright LED chips which give the consitancy of colour and the colour-rendering you need. Although a lot of LED lights have well-known logos, in many cases the technology inside is mediocre and built down to a price. 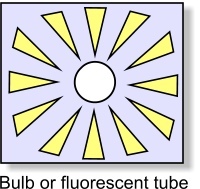 Brightness, lifespan and light-quality suffer. For example most well-known electrical brands which also sell LED bulbs use cheaper-brand LEDs because of the high prices of the professional quality LEDs. So customers who need bright attractive long-life LED lighting are missing-out. We help our customers to buy LED lighting using top-brand LEDs because we specify them at the factory and have low overheads so the costs are affordable. Why not just increase the Watts? The solution to improve brightness is NOT just to increase the power/Wattage of the LED product UNLESS the heat-dissipation design is increased as well. For example you'll often see LED MR16 12Volt mini spotlights advertised with small bodies (sometimes even glass or with no heatsink) and rated at 6 or even 9 Watts! That's a large amount of heat to dissipate, particularly as most MR16 bulbs are used in confined ceiling spaces. The result is usually short-life but before the LEDs fail the colour can change, the brightness decrease and even the other electronic components can overheat. Our maximum power of MR16 is less than 5 Watts, but our light-level is surprisingly close to a 9-Watt LED bulb using the same LED chips because power input and light-output are not a linear scale. LED spotlights and floodlights often promise excellent brightness or 'Lux levels', but they may achieve this by using lenses that focus the light into a very narrow beam. As 'lux' is a measure of 'lumens per square metre' it's easy to see how reducing a beam from covering 90 degrees to 30 degrees can fool a light meter placed in the middle of the light beam but it doesn't mean the bulb is bright enough. Loosely, if the 90 degree bulb illuminated 9 square metres of floor, and the 30 degree bulb just illuminated one square metre, and the lux meter is showing the same lux, one bulb could actually be providing nine times as much light as the other! Based on this example, to illuminate the same room you would need nine times as many 'super-cheap' bulbs compared to the best CREE LED bulbs. The purchase cost of the 'best in class' LED solution would actually be cheaper, give much better lighting-quality and last much longer. 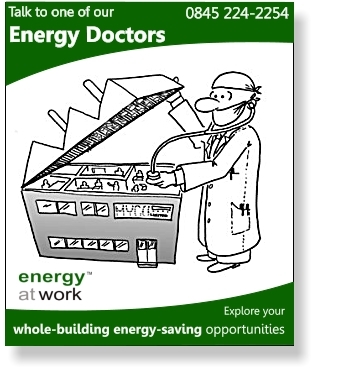 Why not continue using CFL energy-saving light-bulbs?